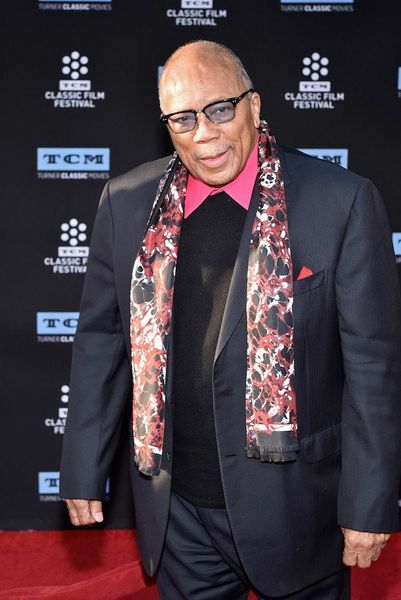 Legendary music producer Quincy Jones is lawyered up and ready to court battle over millions of dollars he feels he’s owed from Michael Jackson’s estate. He claims he owed a whopping $30 million in unpaid royalties from MJ’s estate. The veteran producer’s attorney Mike McKool delivered his opening argument in a L.A. Superior courtroom yesterday. He said Mr. Jones has not been paid fairly after the musical icon’s death, according to Variety. Quincy produced MJ's top selling albums, Off The Wall, Thriller and Bad. Once MJ passed away, there was a surge of interest in the projects, which increased sales of the albums and an increase in royalties. The problem Quincy has is MJ’s estate has been reaping the benefits from the royalties while Quincy has been left out of the loop. “He hasn’t been adjusted as Michael was adjusted,” attorney McKool told the jury. Quincy’s counsel also feels like he has been shorted on his share of profits from the behind-the-scenes concert documentary This Is It. The film features songs from Michael’s original recordings, but Mr. Jones was not given his fair share of the licensing fee. According to McKool, the film grossed over $500 million. The estate took $90 million, but Quincy was only paid $455,000. Attorney John Branca, Jackson’s longtime attorney and now co-executor of his estate, took the stand to reveal the estate offered Quincy $2-$3 million to settle the case, which is what they believe Quincy is owed. “It was never our practice to cheat … Mr. Jones,” attorney Branca testified. However, he did admit that they failed to give Quincy credit for This Is It. The trial is expected to last over the next three weeks with Quincy set to take the stand next week. Do you think Quincy will win $30 milli?